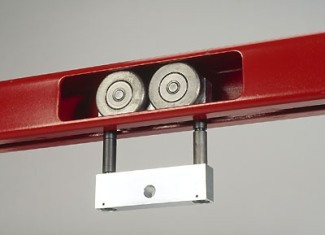 Work pieces supports, carriers, load bars as well as trolleys from manual conveyors are pushed or pulled by workers, even if some areas of the handling installation may be motorized. 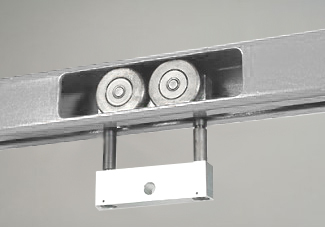 Also used as gravity conveyors (for certain cases and for certain types of pieces) the motions of hung pieces may be facilitated by gravity effect and will reduce all or parts of people walking across the conveying installation. These conveyors using gravity effect can be expanded with motorized rising. 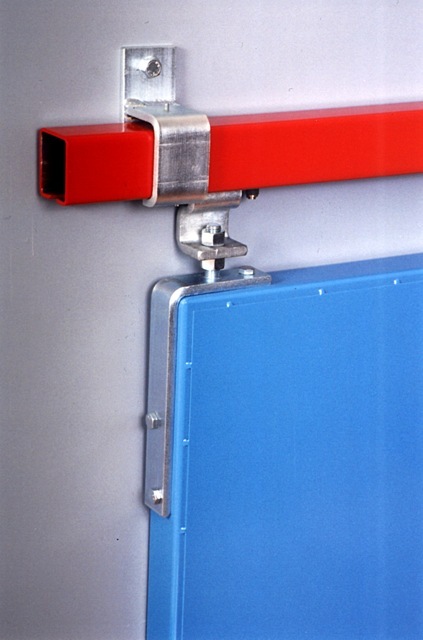 Implementation of gravity conveyors is only suitable for certain applications such handling installations for mail bags, laundry bags, or in slaughterhouses or butchers with meat carcasses. A gravity conveyor is limited with the danger that may represent free conveyed loads moving fast near people. 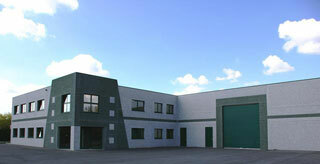 One or several motorized units will secure dangerous areas or restrict the movement of workers. 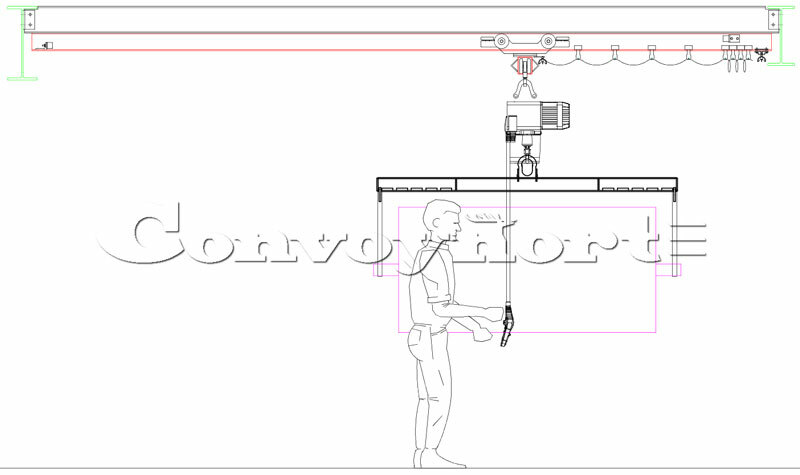 A CONVOYNORT's overhead conveyor system may include straight tracks, curves, switches, retractable tracks, turning devices, motorized areas, weighing stations, drop sections, special equipment, etc. Our technical staff will design the routing taking into account the different needs of the client and its particular plant. The manual handling system will make easier transfers of parts or work pieces inside the conveyor network. In all cases, our technicians will answer all questions to help you to well understand the different aspects and constraints to consider before setting up your manual monorail. 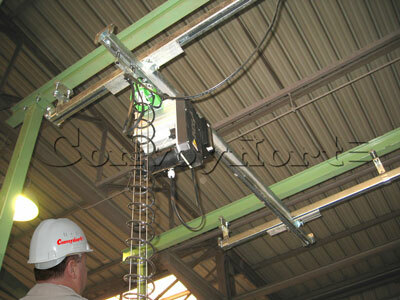 The CONVOYNORT's overhead handling track is another use of manual monorail, or aerial monorail. It will fit easily into your workshop, production area or even garage, thanks to low height. 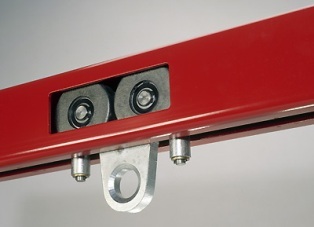 The low height of the overhead ceiling track results from the heights of clamp rail, rail and trolley are not added to each other. The overhead handling system will offer maximum workspace. 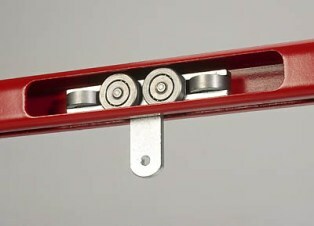 The trolley inside the track can be installed with a hoist or bare. Or still using two parallel rails, for creation of a manual travelling bridge or crane, for covering a work area, a workstation, etc.